Stencila allows you use interactive R code within Stencila articles, notebooks and sheets. 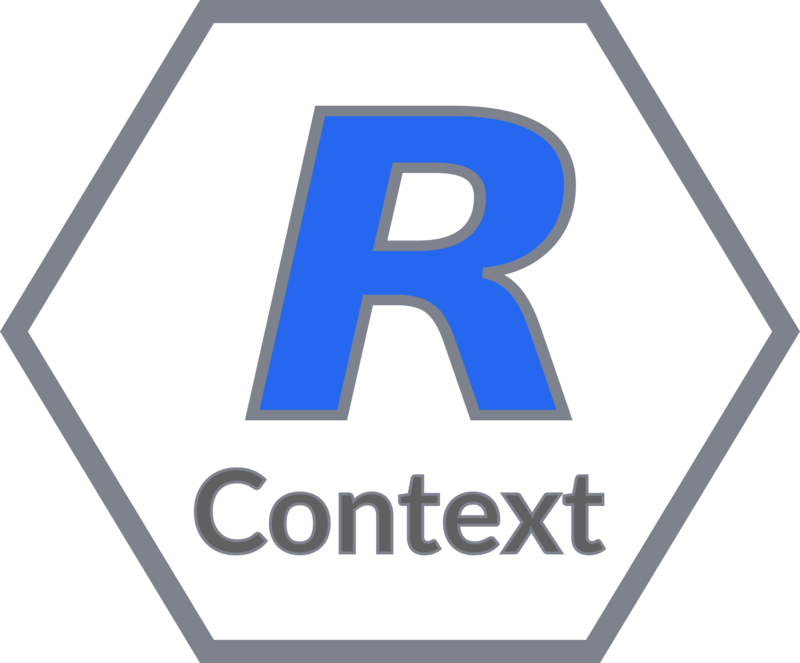 In order to be able to use R within Stencila documents you need to enable the execution context. You can write R code just like you would in any other editor or reproducible notebook. You can install R packages and import them, create and embed plots, and so on. You can write the contents of Stencila cells in R as well as make your existing R functions available in Stencila through function libraries. We are currently working on making the Stencila R package compatible with the latest Stencila Desktop. During that process, not all functionality may be available. The Stencila R package provides a RContext for executing R code and functions from within Stencila documents. The package is not yet available on CRAN, so you need to install directly from our Github repository using the devtools package. Stencila keeps track of the code dependecies between the code cells. It supports reactive programming which means that the code and the respective outputs will get updated, when you change a piece of code they depend on. It is a similar principle as behind the behavior of spreadsheet applications. You can refer to specific outputs from any code cell in any part of your Stencila document. Stencila does all this using its execution engine. What inputs and outputs of a code cell are vary slightly between programming languages that you use in Stencila. For cells written in R, if you want to capture the output of the cell so that you can refer to it throughout the document, you need to create a variable and assign (<-) the output. To be more precise, you are capturing the result of the evaluation of the cell. Note that, the variables in Stencila are non-mutable. Now you can refer to the output of the cell using the variable y. The result of the sqrt(x) is 2 but you will not be able to refer to it since it has not been captured explicitly in a variable. Summarizing: the output of this cell is not captured and the result of evaluating this cell is 2 (sqrt(4)). Stencila provides you with ability to use multiple programming languages to write interactive code within one document, working on the same data. In other words, you can manipulate the same data switching between different programming languages. This capability is achieved through data interchange feature. When you pass data between cells Stencila temporarily converts it into its internal schema representation. The table below shows (roughly) how data interchange between the schema and R is implemented. For more details see source code. *The object fields and methods are saved within the schema-defined object/array and converted accordingly.